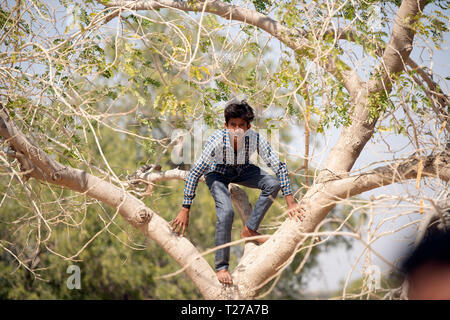 A young Bhil tribe boy climbing a tree in his small, rural village in Rajasthan, India. 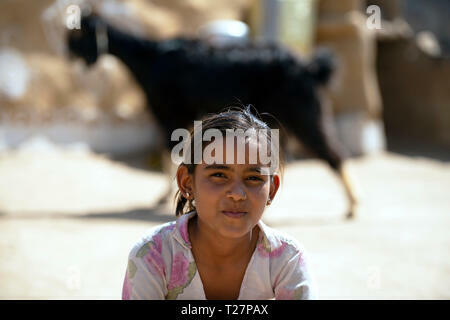 Bhil tribe children, Rajasthan, India. 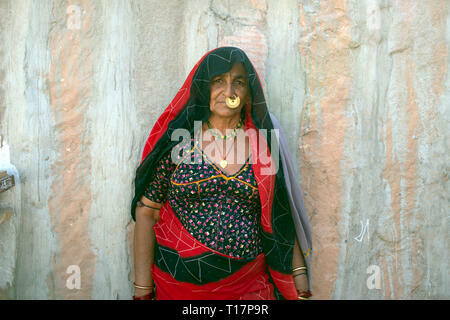 A Bhil tribe woman in brightly coloured dress, Rajasthan, India. Young Bhil tribe boys acting silly, fooling around outside their village school in Rajasthan, India. 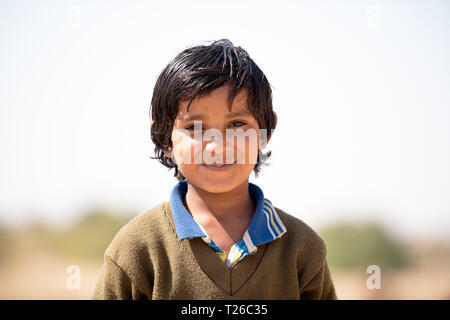 A young Bhil tribe boy, Rajasthan, India. 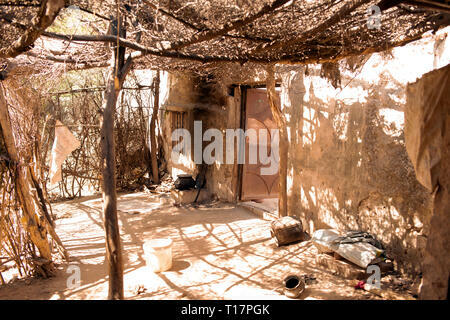 A traditional house of the Bhil tribe in a small village in Rajasthan, India. 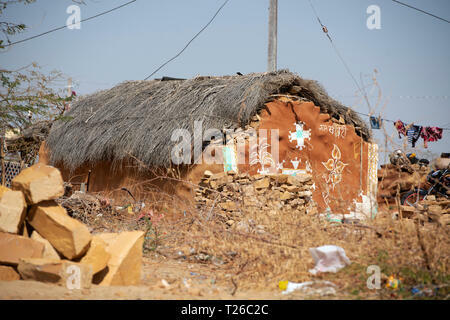 A traditional house of the Bhil tribe in front of a more modern one in a small village in Rajasthan, India. 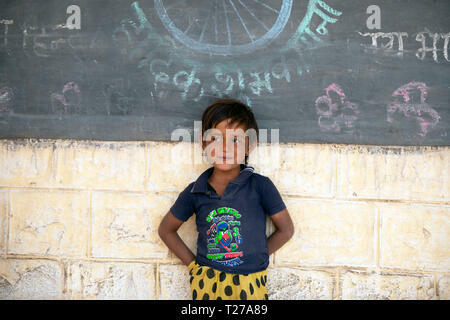 A young Bhil tribe girl outside her village school Rajasthan, India. 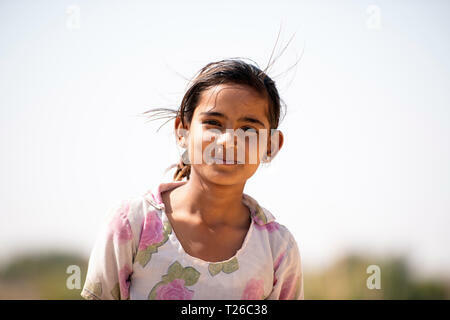 A young Bhil tribe girl, Rajasthan, India. 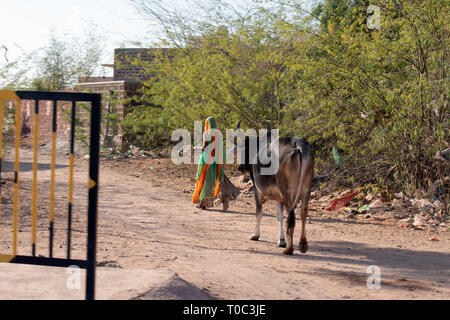 The view outside a basic house in a rural Bishnoi village in India. 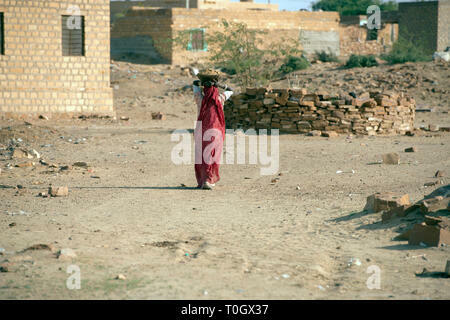 A young Bishnoi girl about to walk to her village school from her home. 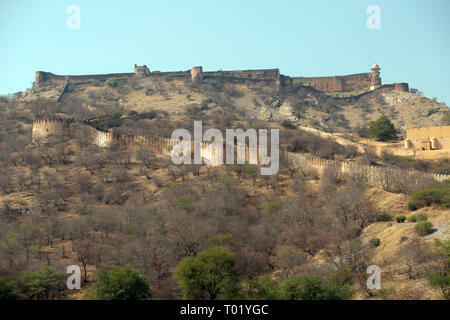 Near Jodhpur, Rajasthan, India. 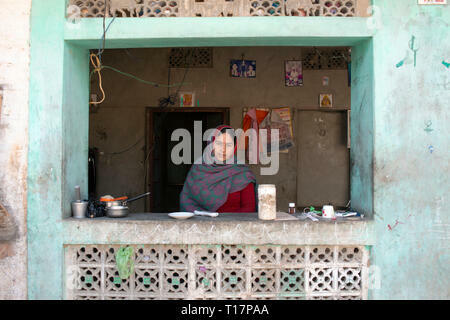 Two Bishnoi girls eat breakfast before walking to their village school. 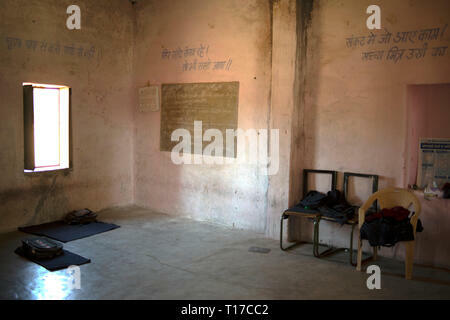 Inside a school room in a basic school in a rural Bishnoi village, India. 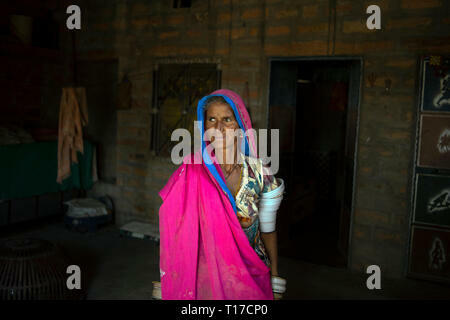 A Bishnoi woman poses with her cow. 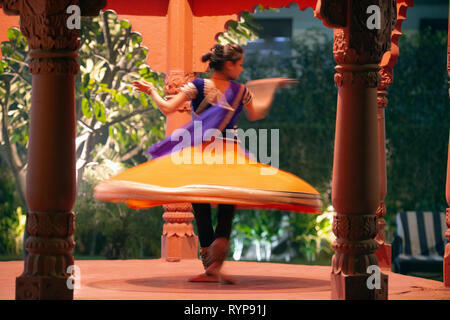 The Bishnoi are a vegetarian religios sect in India. 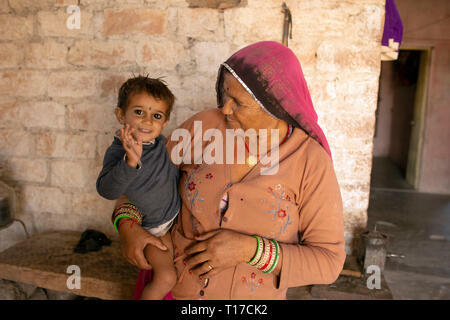 A Bishnoi girl smiles and waves while being held by her mother. 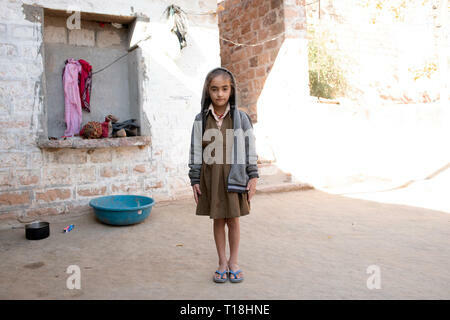 Bishnoi school girls wait for the boys to arrive at their village school so that the lessons can begin. 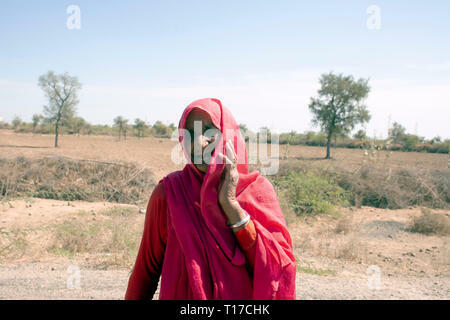 Portrait of a woman from the Bishnoi religious sect, India. 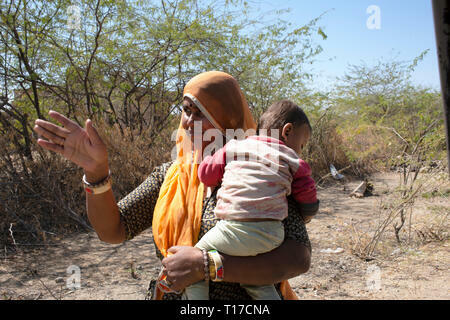 A Bishnoi woman giving directions while holding her baby. 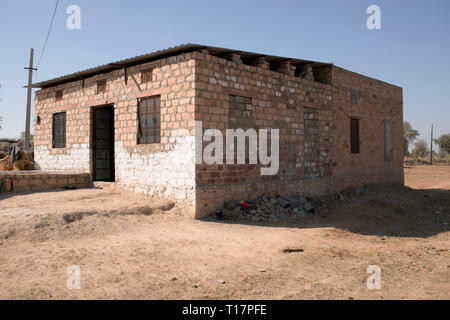 A basic house in a rural Bishnoi village in India. 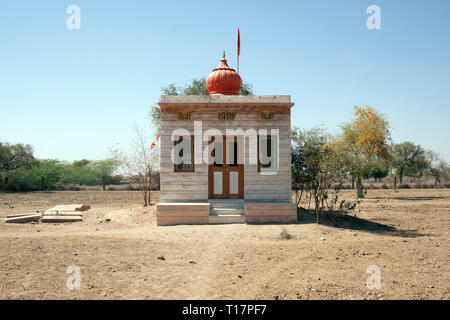 A temple in a rural Bishnoi village in India. 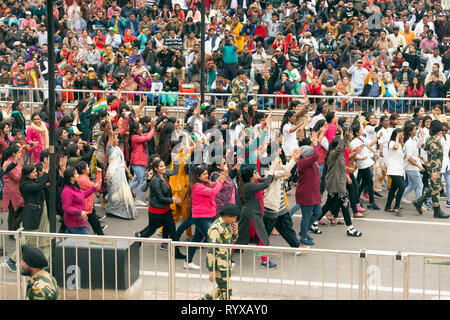 The Bishnoi take twenty principles from Hinduism. 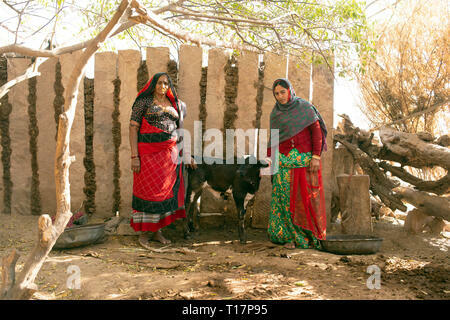 Bishnoi women pose with their cow. 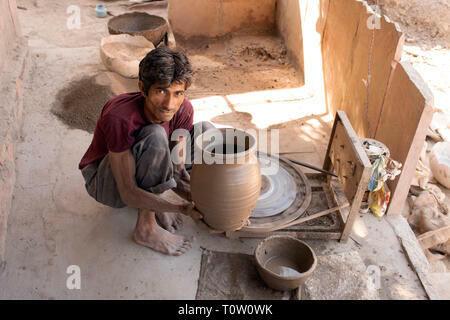 The Bishnoi are a vegetarian religios sect in India. 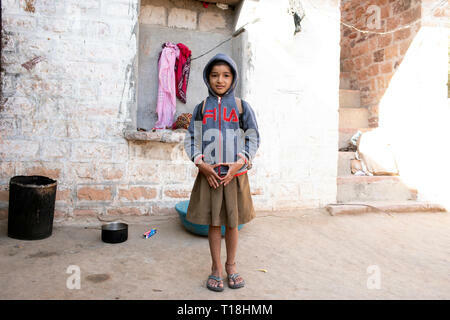 A young Bishnoi schoolgirl draws water from her village school well before lessons begin. 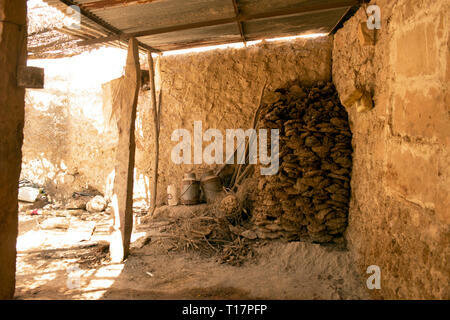 Cow dung is piled and stocked to provide fuel for a Bishnoi family in India. 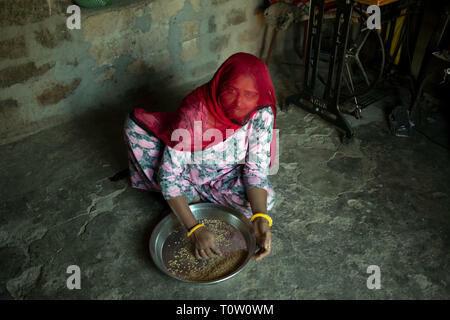 A Muslim woman wearing a veil prepares millet in her house. 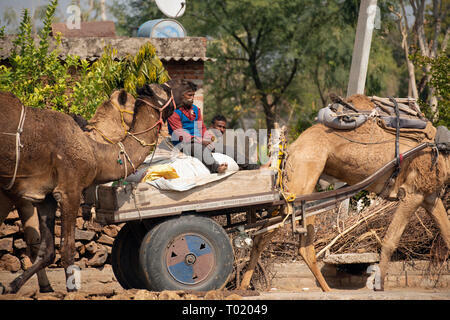 Kakani village, Jodhpur, Rajasthan, India. 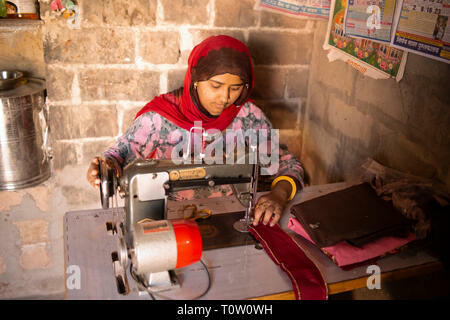 A woman making clothes using an old-fashioned sewing machine. 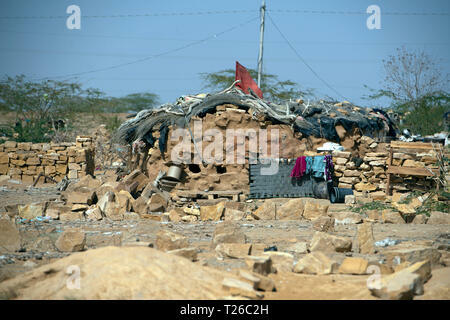 Kakani village, Jodhpur, Rajasthan, India. 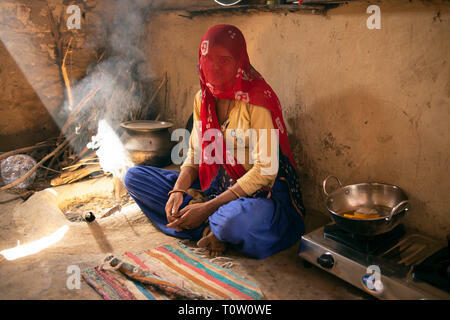 A veiled Muslim woman sits in her house by the fire. 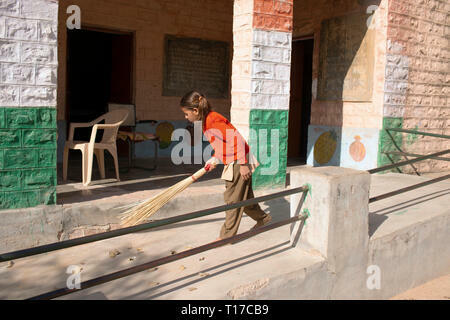 Kakani village, Jodhpur, Rajasthan, India. 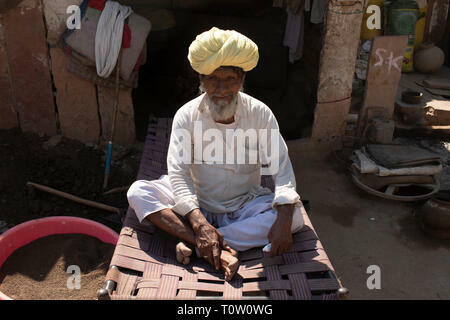 Portrait of an elderly man wearing a turban. Kakani village, Jodhpur, Rajasthan, India. 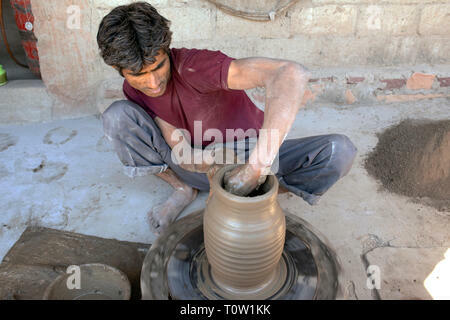 A man demonstrates traditional pottery in Kakani village, Jodhpur, Rajasthan, India. 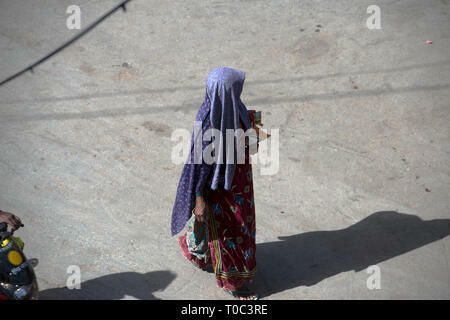 An Indian lady walks home carrying a pot on her head. 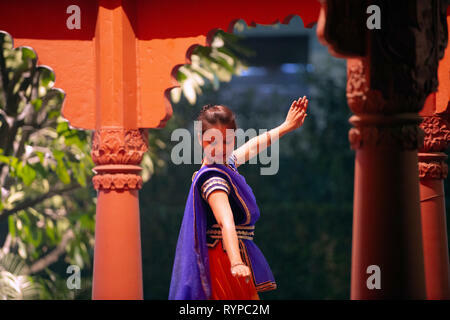 Rajasthan, India. 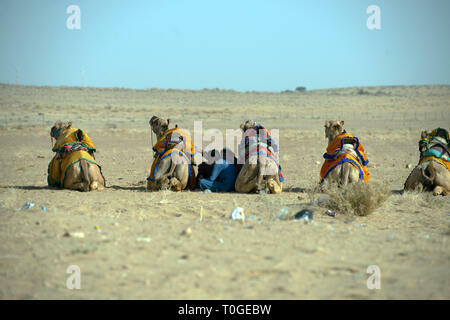 Indian men sit between their camels to shelter from the hot sun. 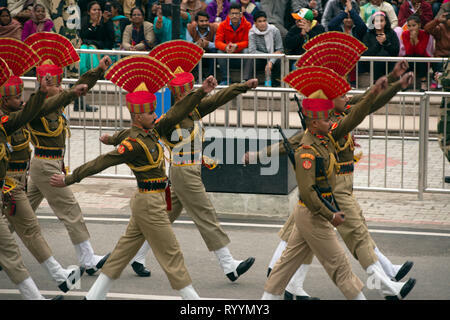 Sam Sand Dunes, Rajasthan, India. 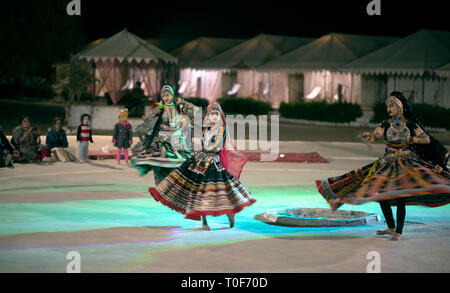 Three women in colourful dress perform a traditional folk dance in the Thar Desert, Rajasthan, India. 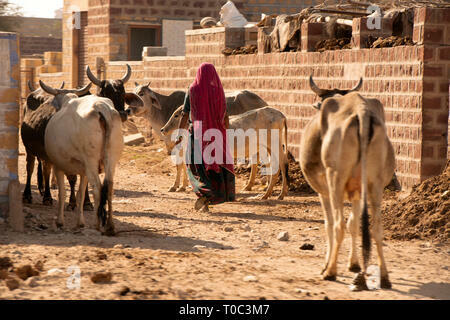 An Indian lady walking alongside cows. 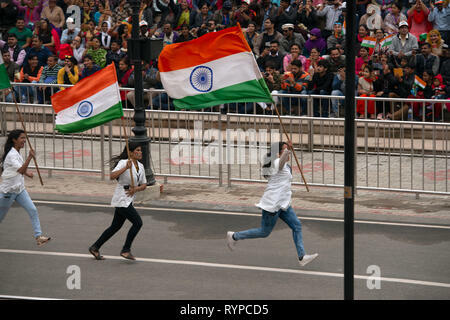 Rajasthan, India. 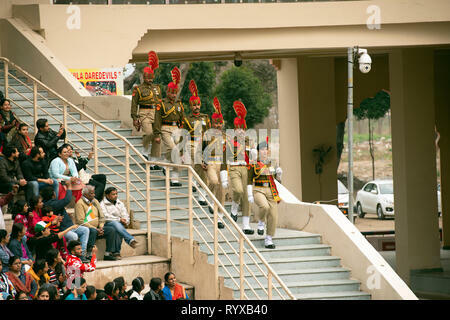 Amer (Amber) Fort, Jaipur, Rajasthan, India. 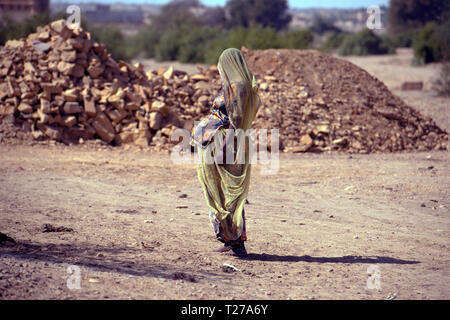 An Indian lady draws water from the well outside her house. 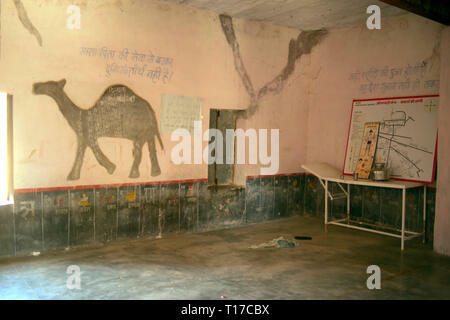 Rajasthan, India. 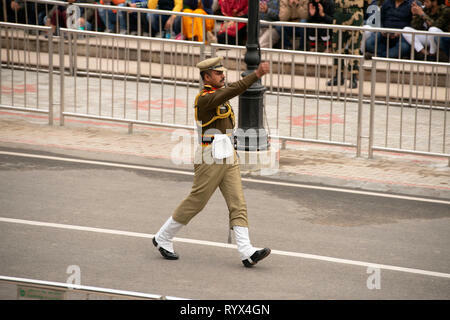 An Indian lady carries groceries home after shopping. 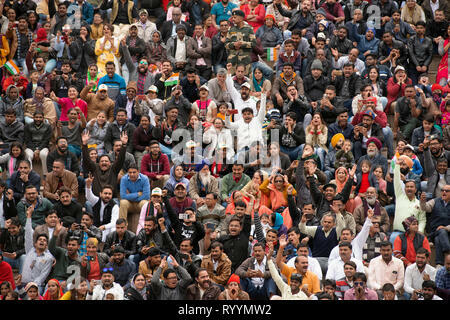 Jaisalmer, Rajasthan, India. 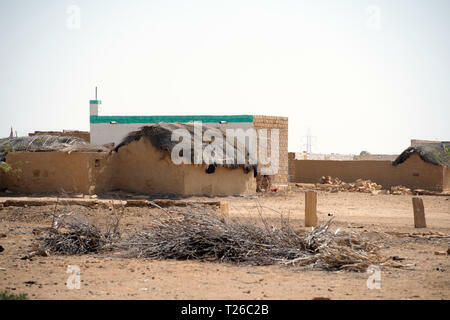 An Indian man takes a shower outside his house. 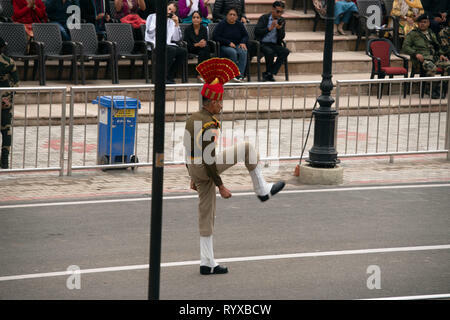 Rajasthan, India. 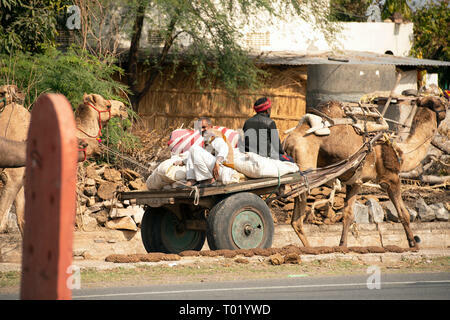 Camels and camel-drawn carts are a common site on the roads of Rajasthan, India. 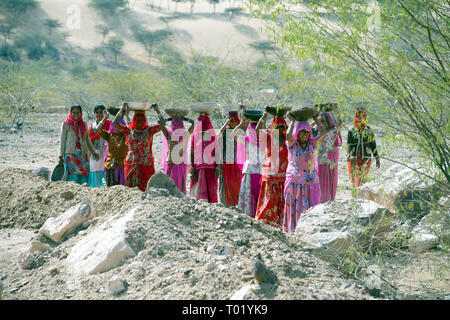 Indian women working in a quarry in Rajasthan, India. 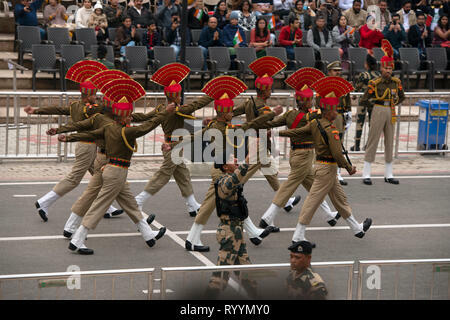 Indian Border Security Force soldiers march at the Attari-Wagah border closing ceremony the day after the Jaish-e-Mohammed terrorist attack. 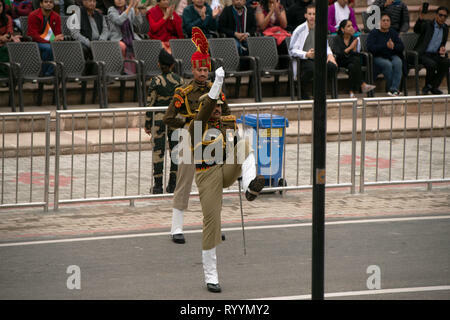 A crowd celebrates Indian military power the day after the Jaish-e-Mohammed terrorist attack in Indian-administered Kashmir. 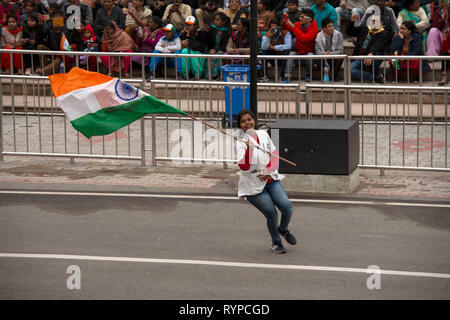 A ptriotic Indian woman attends the Attari-Wagah border closing the day after the Jaish-e-Mohammed terrorist attack in Indian-administered Kashmir. 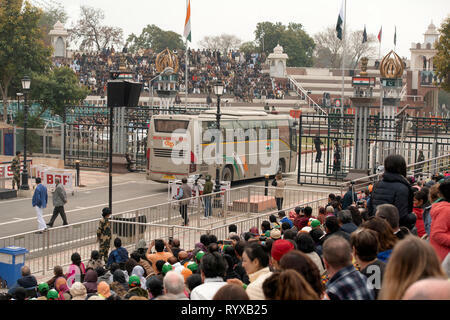 The Attari-Wagah border closing ceremony is interrupted while a bus from Delhi to Lahore crosses the border. 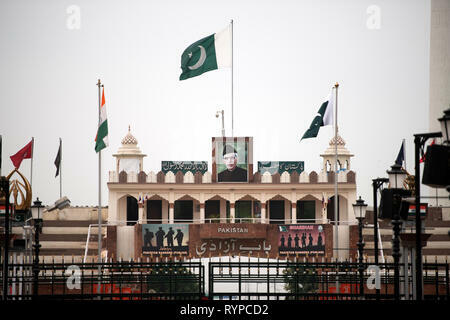 Pakistan viewed from the Indian side of the Attari-Wagah border. 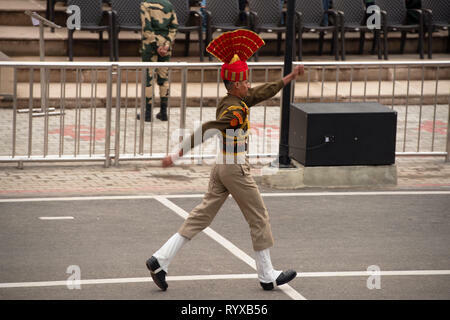 A soldier marches at the Attari-Wagah border closing ceremony the day after the Jaish-e-Mohammed terrorist attack in Indian-administered Kashmir. 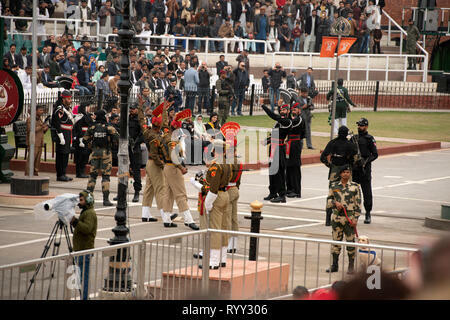 Indian Border Security Force soldiers perform a military drill at the Attari-Wagah lowering of the flags ceremony on February 15 2019. 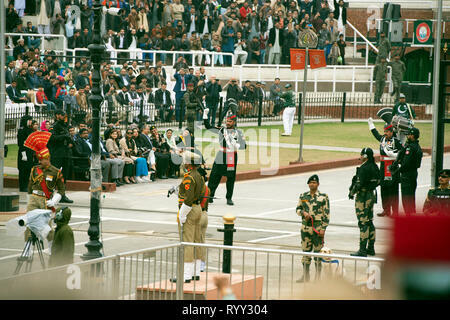 Border Security Force and Pakistan Rangers soldiers show their rivalry at the lowering of the flags ceremony on February 15 2019. 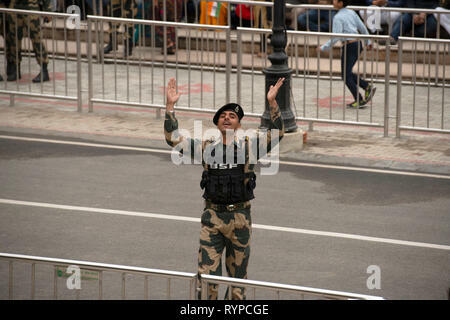 A Border Security Force soldier encourages patriotism at the Attari-Wagah border the day after the Jaish-e-Mohammed terrorist attack in Kashmir. 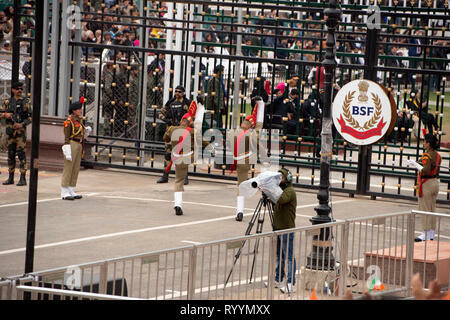 Indian Border Security Force soldiers prepare for the lowering of the flags ceremony at the Attari-Wagah border closing on February 15 2019. 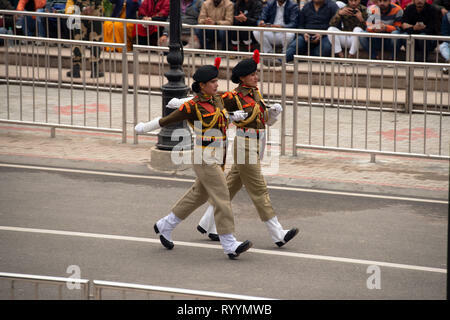 Patriotic Indian women attend the Attari-Wagah border closing the day after the Jaish-e-Mohammed terrorist attack in Indian-administered Kashmir. 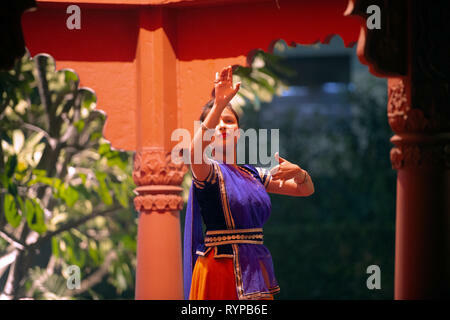 A young lady performs a traditional dance in a brightly colored costume in India. 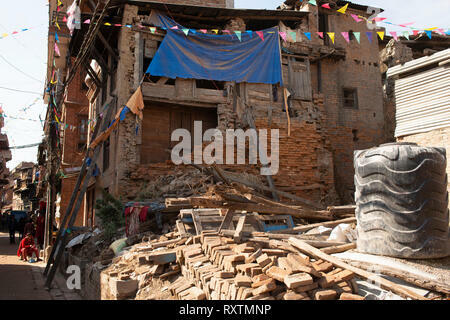 Four years on, Nepal still shows signs of the 2015 earthquake. Bhaktapur, Nepal. 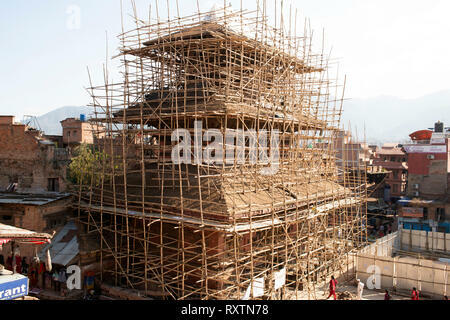 It will take many years, or decades, to re-build the ancient temples that were destroyed in the 2015 earthquake. Bhaktapur, Nepal. 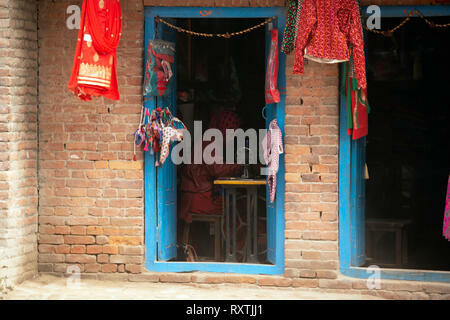 A Nepali lady does her laundry the old-fashioned way in the local river. Bhaktapur, Nepal. 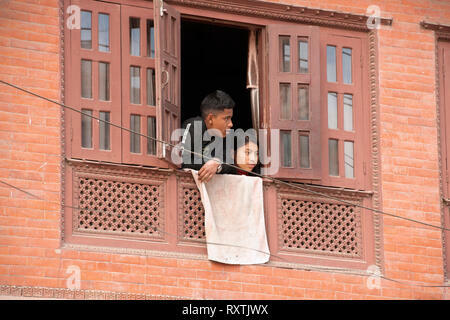 A young Nepali couple peer outside the window of their modern house. Bhaktapur, Nepal. 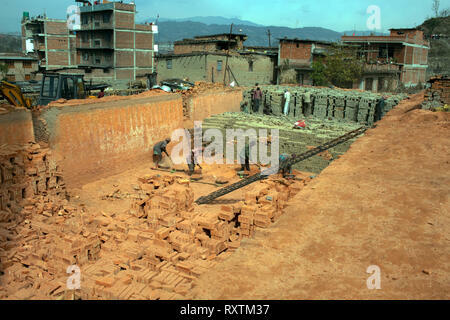 Demand for bricks is high as Nepal recovers from the 2015 earthquake. Bhaktapur, Nepal. 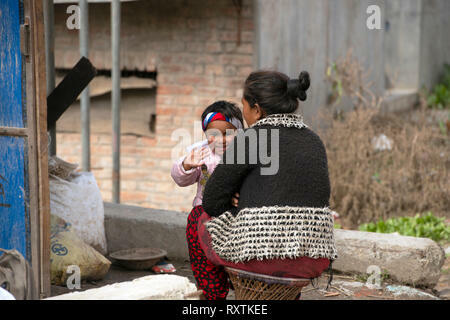 A young Nepali girl smiles and waves as she is held by her mother. Bhaktapur, Nepal. 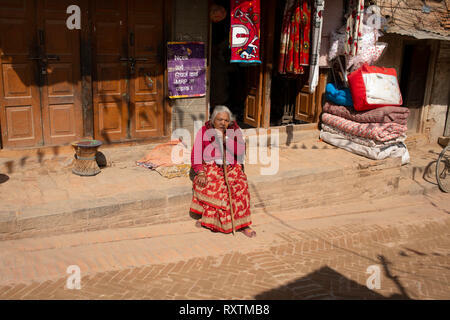 This elderly Nepali lady is one of the few potters left in Bhaktapur, Nepal. 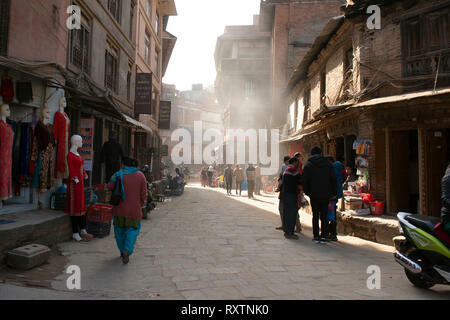 A typical street scene on a warm, sunny winter day at the UNESCO world heritage site of Bhaktapur, Nepal. 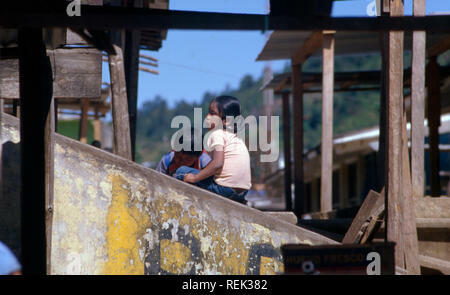 An elderly Nepali lady takes a rest by sitting on a wall. Bhaktapur, Nepal. 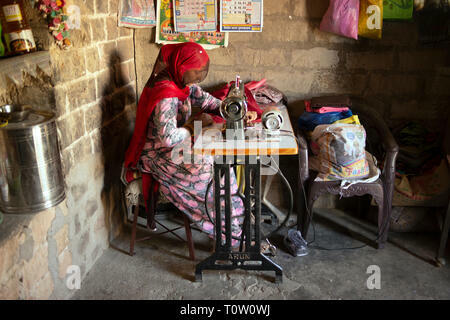 An elderly Nepali woman makes clothes the old-fashioned way. Bhaktapur, Nepal. 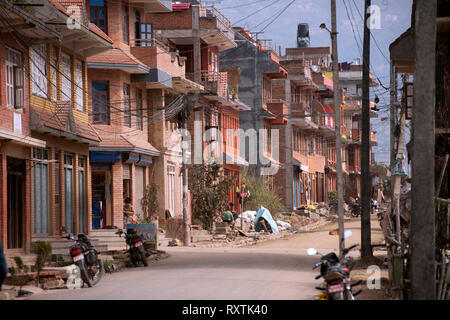 Since the April 2015 Nepal earthquake, Bhaktapur has been re-built in the form of a modern town. 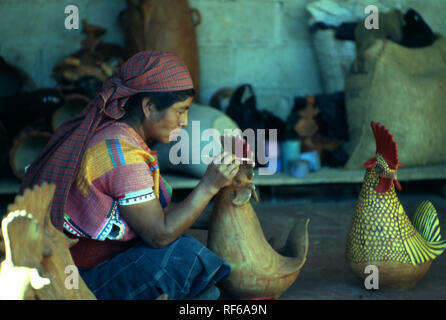 Pottery is fired using pre-Columbian techniques in the indigenous Mayan Tzeltal village of Amatenango del Valle, Chiapas State, Mexico. 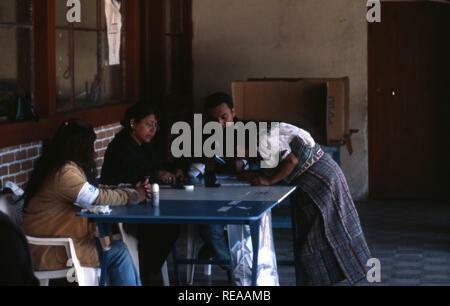 An indigenous Tzeltal woman paints 'animalitos' before they go on sale in Amatenango del Valle, Chiapas State, Mexico. Maya Crosses show that indigenous Tzotzil (Tzotsil) villagers still follow the ancient Mayan religion in Chiapas State, Mexico. 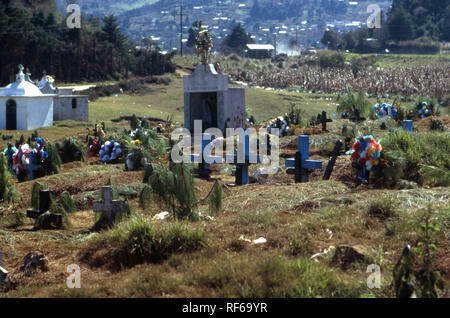 In an indigenous Tzotzil (Tzotsil) Mayan church graveyard, different-coloured crosses reflect the age of the deceased. 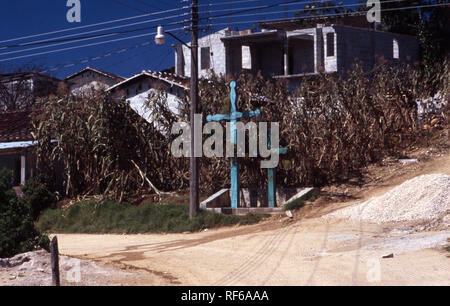 Chiapas State, Mexico. 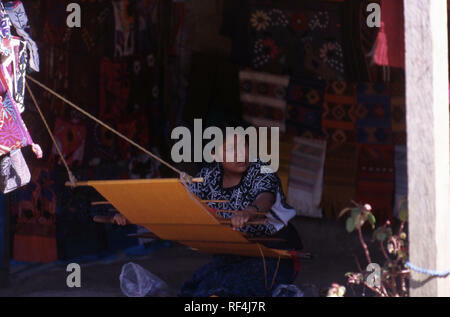 An indigenous Tzotzil Maya woman makes clothes the traditional Mayan way, weaving on a back-strap loom. 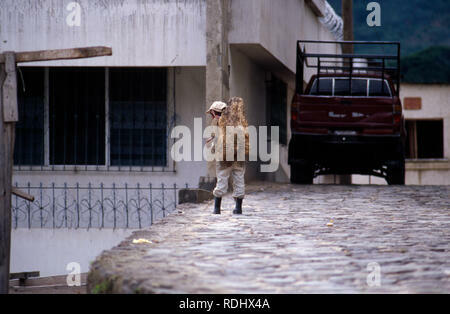 Chiapas State, Mexico. 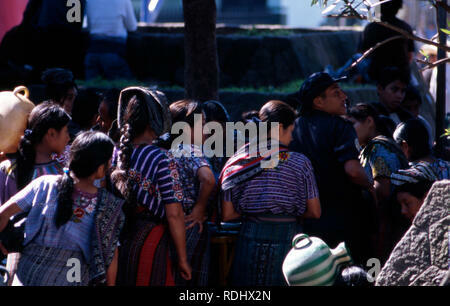 Indigenous Tzeltal wait for their parents at the marketplace in Oxchuc, Chiapas State, Mexico. 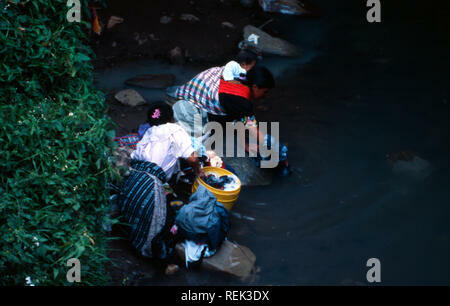 Indigenous Kiche Mayan women do laundry in the river in Momostenango Township, Guatemala. 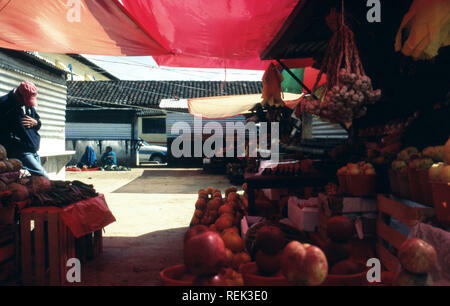 A marketplace in an indigenous Tzeltal community near Oxchuc, Chiapas State, Mexico. 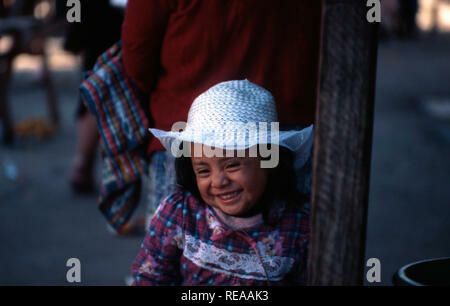 A young, indigenous Kiche Maya girl at the marketplace in Momostenango Township, Guatemala. 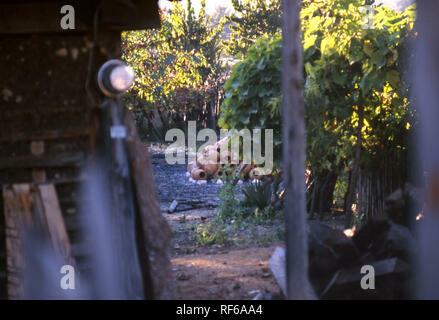 A young, indigenous Kaqchikel boy carries firewood on his back. Lake Atitlan, Guatemala. 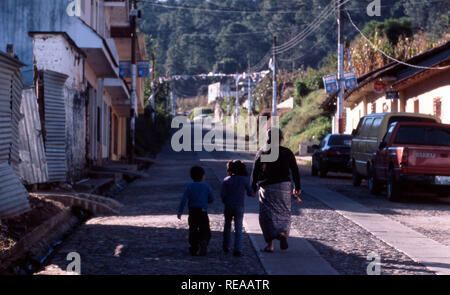 An indigenous Kiche Mayan woman walking home with her children, Momostenango Township, Guatemala. 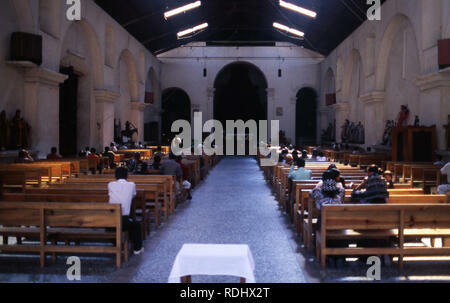 Indigenous Tzutujil attend a Roman Catholic church in San Lucas Tolimán, Lake Atitlan, Guatemala.